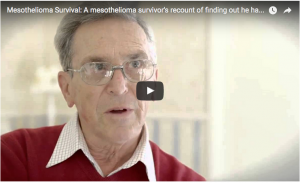 Mesothelioma is a rare but aggressive type of cancer that occurs in the mesothelial cells due to asbestos exposure. Asbestos is a natural mineral that was widely used in industries like construction, shipbuilding and manufacturing for about 100 years due to its heat resistance, tensile strength and insulating properties. However, during the 20th century, it has been proven that when it interacts with other materials, toxic fibers are released into the air. The asbestos fibers are inhaled or swallowed, irritating the mesothelial cells and causing the formation of tumors. 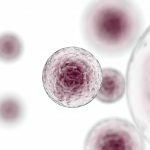 The mesothelial cells gather around the organs, forming the mesothelium, which is a membrane responsible for moistening the organs. 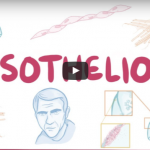 The different types of mesothelioma are determined according to the first location of the tumors. Pleural mesothelioma, the most common form of the disease, can cause numerous respiratory symptoms, including faint or harsh breathing sounds. 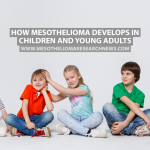 About 75% of all patients with this type of cancer are diagnosed with pleural mesothelioma, which occurs when the asbestos fibers travel to the lining of the lungs, the pleura, and irritate the cells. The process can take decades between the exposure to the mineral and the development of symptoms. As the tumors progress, patients start experiencing respiratory problems, which are usually interconnected. The tumors grow and start pressuring the lungs and chest cavity, while there is also the possibility of buildup of fluid. This cause pain and difficulties in properly breathing, which explain abnormal breathing sounds. Due to inflammation in the mesothelium, the lungs are not properly moistened and the friction created by the inflation and deflation process make noise. Faint or harsh breathing sounds are not a common symptom, but they can occur in pleural mesothelioma patients. However, these types of symptoms are not normal, either, and patients should consult a physician about the when they occur. When a person breathes in and out, no sound should be heard in addition to the “whoosh” of air. Wheezing is a high-pitched sound similar to a whistle or squeak, and it is the most common sound that can be accompanied by cough. 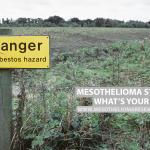 Despite the advancements in the field, there isn’t yet a cure for mesothelioma. 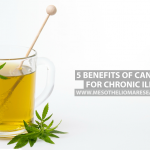 There are, however, treatments that can help ease the symptoms as well as improve patients’ quality of life and life expectancy. In order to address abnormal breathing sounds, treatments are focused on the underlying disease. Surgery is among the treatment options in the case of tumors up to stage III, which are considered locally advances, but surgically removable. Extrapleural pneumonectomy (EPP) consist on the removal of the affected lung, lining of the heart, half of the diaphragm and lymph nodes, while pleurectomy/decortication (P/D) surgery is a more aggressive approach based on the removal of the lining surrounding one lung (pleurectomy) and any tumor masses growing inside the chest cavity (decortication). In addition, chemotherapy is the most common course of treatment and radiation therapy is the least invasive. 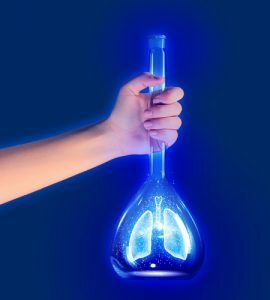 Both of them can be administered alone, before, after or during the surgery, and they can improve patients’ breathing ability, decreasing abnormal breathing sounds. 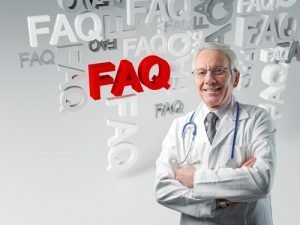 In the case of more advanced cases of the disease, palliative care may be recommended to help with the symptoms, including draining excess fluid buildup around the tumor.